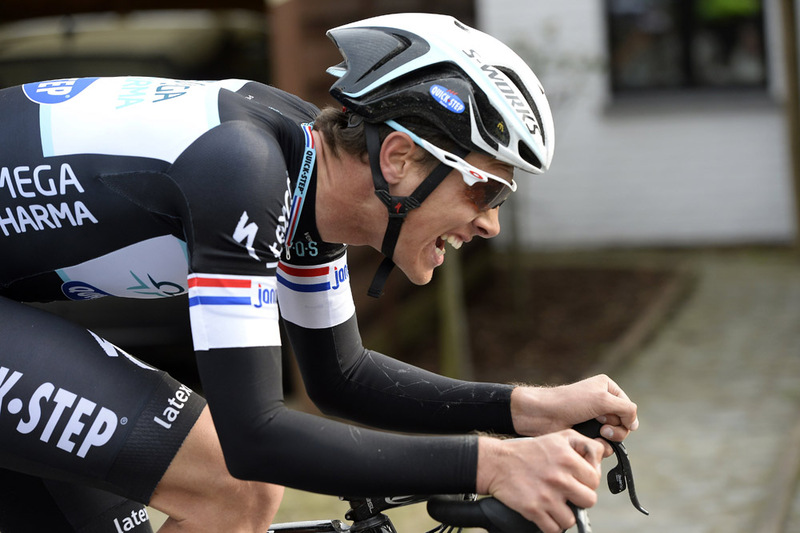 Niki Terpstra took a solo win at Dwars door Vlaanderen on Wednesday, opening Omega Pharma-QuickStep’s Flemish campaign with a convincing show of strength and tactics. 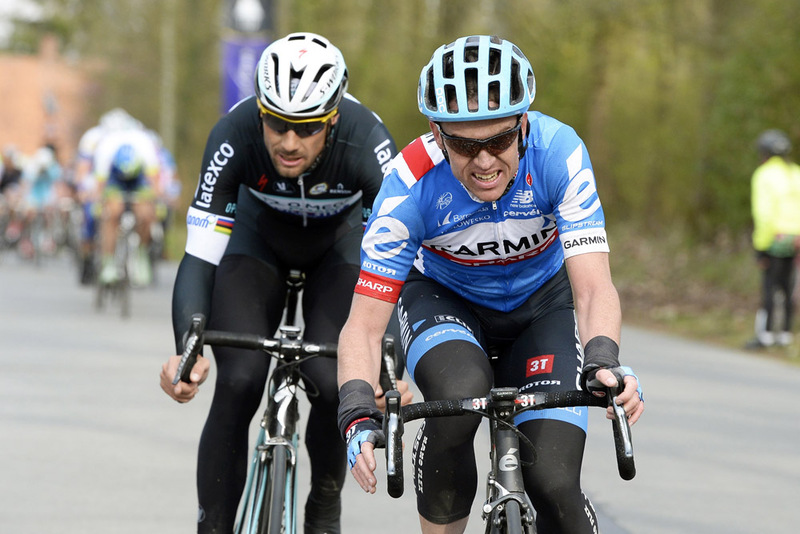 Tyler Farrar (Garmin-Sharp) led the peloton home for second place with Borut Bozic (Astana) in third. An early 20-plus rider lead group contained British riders Steve Cummings (BMC Racing) and David Millar (Garmin-Sharp), who originally instigated the move after 65km. As the race progressed, the break splintered with the final eight riders absorbed by the chasing peloton within the final 30km. 2012 winner Terpstra launched an attack just before the catch on the Paterberg, quickly building up a lead and pushing out his gap to over half a minute as the chase group faltered. 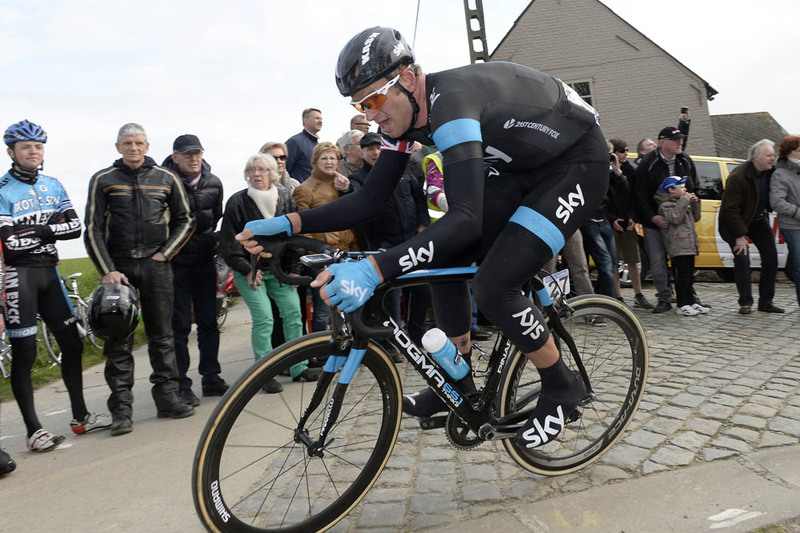 As Terpstra forged ahead, four riders gave chase – Alejandro Valverde (Movistar), Gert Steegmans (Omega Pharma-QuickStep), Nicki Sorensen (Tinkoff-Saxo) and Stijn Devolder (Trek Factory Racing). 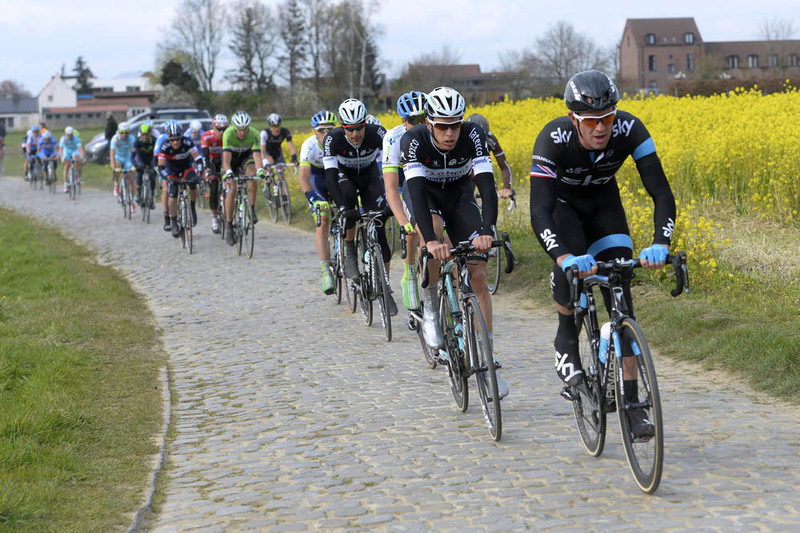 Steegmans took a back seat, mindful of team-mate Terpstra up the road and leaving the other three to do the work. On the final climb of Nokereberg with 8km to go, Terpstra was still comfortably out front, 18 seconds ahead of the four chasers and half a minute clear of the peloton. The chasers were caught by the bunch by the final kilometre, with Terpstra giving every ounce of effort left, head almost touching his bars to stay away and take a fine solo win. 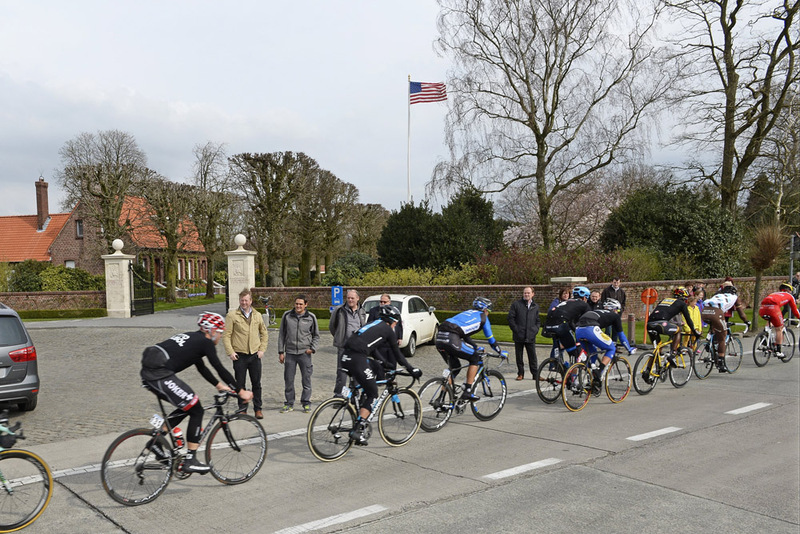 American Cemetery during the Dwars door Vlaanderen cycling race on March 26, 2014 in Waregem, Belgium.